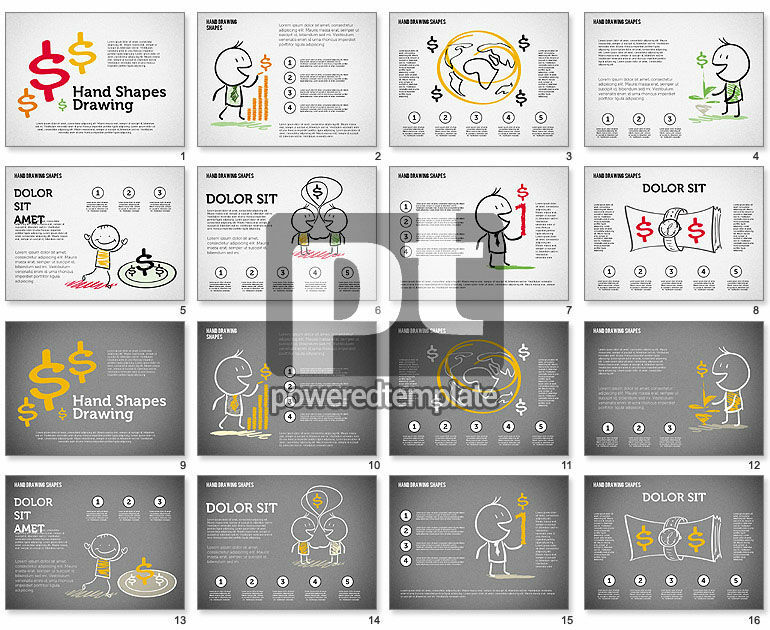 These presentation slides 45523 are complete compatible with Google Slides. Simple download PPTX and open the template in Google Slides. This unbelievably nice template created in a hand drawn manner, surely can be a bright point of your presentation, This nice sample has many cool cartoon humans, who are doing various things, such as growing a plant, dancing, communicating, keeping money, being happy, etc. Also there is a globe and two color palettes proposed. Your audience will like your presentation in this style.